Hiring a bankruptcy attorney, or consulting an online legal document provider, is often a good choice simply because bankruptcy law is complicated. Although it is possible for some individual debtors to file for bankruptcy without professional assistance, bankruptcy proceedings often require knowledge of both state and federal law. Additionally, bankruptcy cases require extensive paperwork and detailed documentation of all the debtor’s liabilities and assets. Since an attorney already understands the rules governing bankruptcy paperwork and statutory filing requirements, using legal representation can make the process proceed smoothly and expediently. Further, even seemingly minor mistakes in the bankruptcy petition and filing process can compromise a filer’s rights, so ensuring paperwork is completed correctly is a potential benefit of hiring an attorney, or consulting an online legal document provider. Bankruptcy requires debtors to communicate with their creditors about negotiations, settlements and specifics of the court proceedings. Some bankruptcy filers may feel uncomfortable making these calls or feel unsure they are communicating the appropriate information to the right parties. A bankruptcy attorney will handle these communications in addition to representing the debtor in court proceedings and meetings. Moreover, while individuals generally may file for bankruptcy without an attorney, the United States Federal Judiciary explains that partnerships and corporations must retain a lawyer to file for bankruptcy. Thus, some entities may have no choice but to retain professional representation. Attorneys carry malpractice insurance, which means that if a lawyer makes a mistake on a bankruptcy case, the bankruptcy filer may be entitled to compensation for his or her losses. No equivalent protections exist for pro se filers — that is, persons who handle their own bankruptcy cases. In other words, retaining an attorney can provide bankruptcy filers with an added level of security. 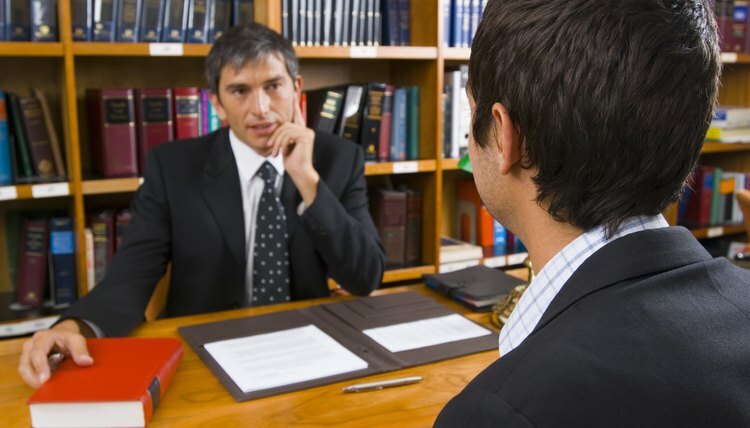 Unlike most bankruptcy filers, attorneys generally have established connections with clerks, judges, other attorneys and various other parties to their clients’ cases. Likewise, they generally have a strong knowledge of the court system handling their client's case. Although this does not give bankruptcy lawyers any legal advantage over pro se filers, an attorney’s professional connections can help keep the case moving through the system.